High Country Stainless offers sanitary process equipment from world leading manufacturers, including complete skid mounted systems, pumps, valves, parts and service for all your sanitary process equipment. 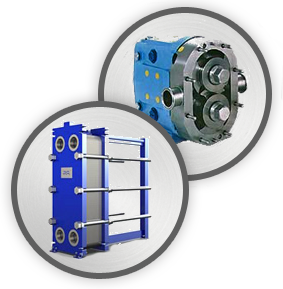 Specializing in pump applications, High Country Stainless will supply the right pump for your industrial application. Stainless steel, plastic and iron pumps are in stock. Stainless steel valves and fittings for these pumps are also stocked for timely delivery at very competitive pricing. High Country Stainless carries a large inventory of stainless sanitary fittings, pipe fittings, pumps and service parts to ensure you have what you need when you need it. We service and install what we sell and offer in-house or on-site service. Please contact us and our friendly, knowledgeable staff will be able to help you.